Annual Valentine's Day Group Wedding in The Sweetheart City! Loveland, Colo. has been re-mailing valentines with a special cachet and postal cancellation since 1947. 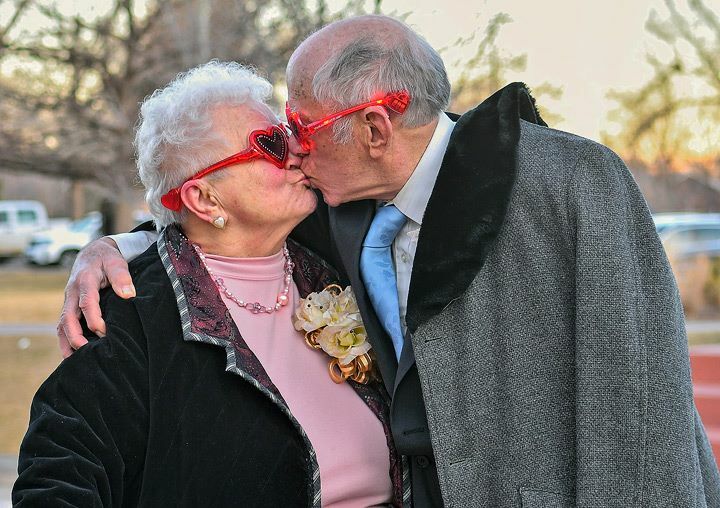 Since then, Loveland, Colo. has become world renown for its dedication to romance. The Sweetheart City captures the essence of romance via its world-renowned Valentine Re-mailing program with more than 130,000 cards each year from all 50 states and more than 110 countries! 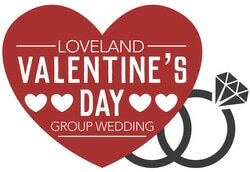 Our annual Loveland Valentine's Day Group Wedding will be a memorable experience for all! We have had requests to host Valentine's Day weddings for years, and we our proud to finally offer it! 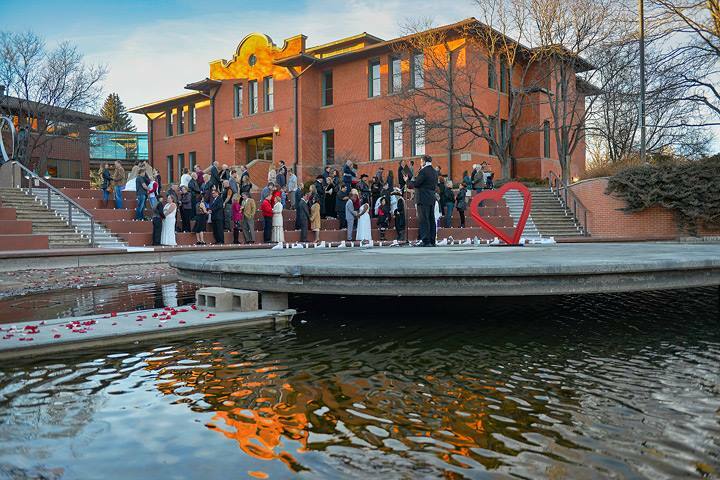 We chose the Loveland Foote Lagoon for our group wedding because of it's romantic elements and it's beauty for photographs. The officiant will stand in the middle of the lagoon to address the couples gathered on the steps all around him. The lagoon will be lit by candlelight, and one of our favorite singer-songwriters will be playing classic romantic songs before and after the ceremony. For couples getting married, you can purchase your tickets online, then you must apply for a marriage license through Larimer County, and bring it with you to registration at 2pm on 2/14. It is your responsibility to return the license back to the County Clerk & Recorder within 63 days after the ceremony. The license will then be officially recorded. For couples renewing their vows, you do not have to apply for any paperwork in advance. Simply purchase tickets. You will receive a vow renewal certificate after the ceremony. All couples participating in our group wedding will have their certificate signed by the officiant. You will receive special signature Valentine's Wedding cupcakes, and a gift bag for participating. A photographer will be available at the lagoon to take photos of each couple. You'll receive a keepsake photo immediately. Every couple will also be registered to win a large gift package from participating partners!